Air Freight is a fantastic transportation solution to ensure that your shipments are sent out and delivered properly so that they reach their destination on time. 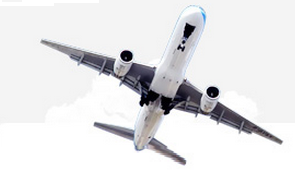 Air Freight can be used for both domestic and international freight. Learning how to ship Air Freight is important. When determining if Air Freight shipping is right for your company, consider a few different factors. The commodity of the product is a factor, so if it a really small shipment, using Air Freight can be efficient for you. While the cost of Air Freight is always a factor, you must also consider that if your company needs an immediate shipment because of a potential loss for your company, Air Freight will be expedient to prevent the loss for your company. That’s why so many companies choose Air Freight for shipping. There are different transit times for cargo aircrafts that factor as well. Some cargo planes can hold about 26,000 cubic feet of cargo. Their pallets are at least 8 feet by 10 feet wide and at least 10 feet tall. To guarantee a smooth Air Freight experience, you should use a freight forwarding company that specializes in logistics. These companies can help you achieve cost savings and compare rates from the top air carriers. The best logistics companies offer instant Air Freight quotes online. All you need to do is input the size, shipment origin and destination and within 10 seconds you will receive an instant quote online. After you receive your instant online Air Freight quote, all you have to do is package your shipment, and either wait for it to be picked up for shipment or drop it off yourself for shipment.